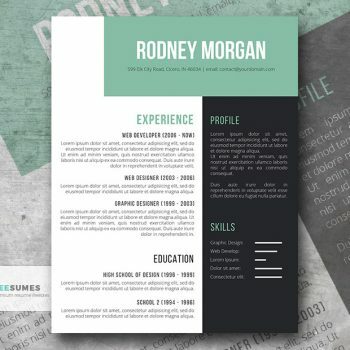 Creative resume templates can help you build a document that shows your creativity while still maintaining the professionalism you need to be taken seriously to get past the “gatekeepers”. 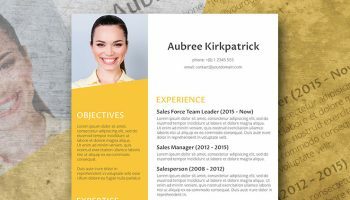 The standard advice is that you should create very simple, structured resumes that don’t deviate much in style or format. Anything else is deemed a distraction that could do more harm than good. This is good advice for those in many fields, but you aren’t in just any field, are you? As a creative professional, it’s important that your resume is a reflection of your personality, brand and unique style. Not only are you permitted a bit of leeway when it comes to the design and layout of your resume, but your creative resume can also help you stand out from the other applicants opting for the plain and trusted styles. Best Part — Creative Resumes Work! One fresh graduate landed a great internship at GQ magazine without ever having to sit for an interview. He got in strictly on the merits of his resume which was designed to resemble a cover of the men’s magazine. Sabrina Saccoccio modeled her resume after a Facebook profile page and not only she got a gig with CBC Radio 3, but her application went viral! 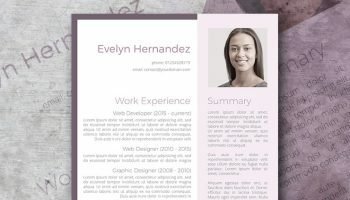 Is a Creative Resume Template For You? What are my career goals? How can I best express my talents? What are the preferences of my target employers? 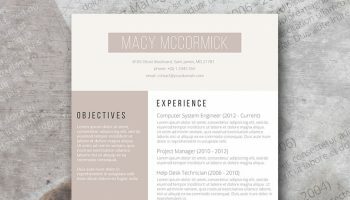 How do I produce a resume that is attention-getting and career appropriate? 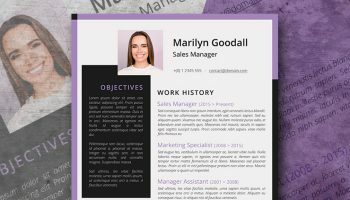 If you’re planning to enter a creative field and want a resume that highlights your talents, a creative resume template is the right choice for you. You’ll also want to consider whether prospective employers will ‘get it’ if you send them a creative resume instead of a more traditional one. If you’re applying at a modern art gallery, trendy restaurant, or hip, clothing boutique, creativity might just be the little thing that gets you noticed among all the other job seekers. Consider a creative resume if you are an artist, designer, musician, chef, actor, photographer, or in any field where creative expression is valued! Give insight into your design, storytelling, and artistic skills. 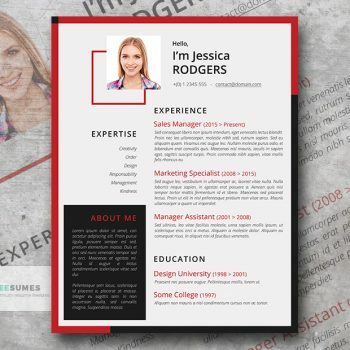 Use color, fonts, and other design elements to create a resume that is aesthetically pleasing and eye-catching. 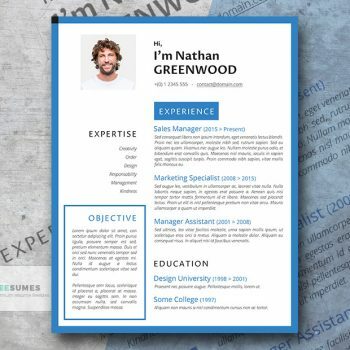 Build a scannable resume that hiring managers prefer. Maximize the use of relevant keywords. Structure a resume to focus on your best, professional attributes. This balanced approach means a resume or CV that is creative and interesting but maintains professional standards as well. If you decide to try out one of our free creative templates, we have a few tips to make your job search as fruitful as possible. Pay Attention to Detail. With a creative resume, you are putting yourself out there. Make sure your resume meets the highest of standards. Take care to eliminate errors and include relevant details. Show Your Creativity And Professionalism Elsewhere. Your resume is just the beginning. Give your employers more. Link to your professional social media profiles, professional blog, and portfolio. Match Your Resume to Your Brand. Many creative professionals work very hard at cultivating a personal and professional brand. This includes maintaining visual and aesthetic consistency when it comes to their website, portfolios, and other visual representations of their work and career. 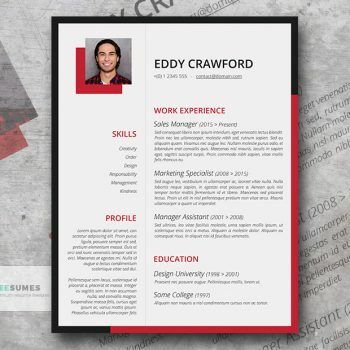 Feel free to customize your creative resume to fit into those efforts! 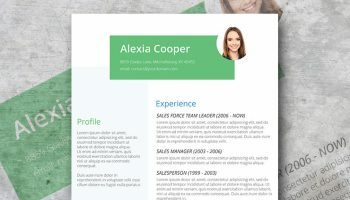 This creative template is designed to draw the attention of recruiters and HR manager with its unusual layout and nice color combination. It's just a click away and it's totally free for your personal use. 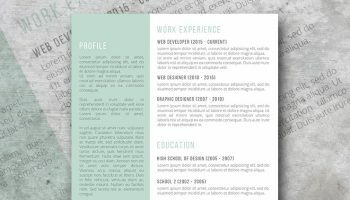 Hot Resume Design Template – Chili Pepper!